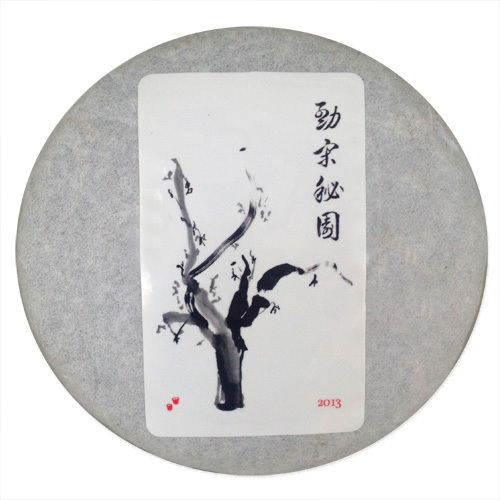 Meng Song Secret Garden raw Pu'er from 2013. 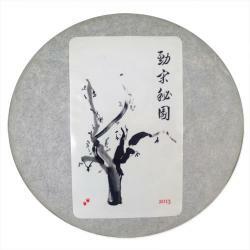 This tea not only refutes the idea that "young Pu'er cannot be drunk" it makes one wonder why bother aging tea at all. Creamy and floral, this tea comes from a secret garden in the famous region of Meng Song, and we ordered the pressing of our own cakes right after we ate the leaves off the trees (and right after we promised not to tell anyone the location of the forest). The old trees grow in a pristine and bio-diverse environment surrounded by taro, bamboo and camphor trees, with extremely limited access. We pressed the tea in 125 gram pucks so they're awfully cute and easy to carry around. Brewing tips: Rinse 5 grams tea for a few seconds with water (90°C / 190°F), and discard the rinse, then add more water to brew, and after 5 to 10 seconds pour the tea into a separate cup to drink. By pouring off the tea you can reuse the leaves for subsequent rounds, by adding more water and gradually increasing the steeping time. What's the deal with Pu'er?